Preparing for the entrance of Kamen Rider Zi-O into the Reiwa era is no small task. Now it's time to consider the Heisei era Riders (not counting the 90s movies or Black RX which started in the Showa era but ended in the Heisei era). UkiyaSeed also shows the latest results from Eigaland which has the following ten Kamen Rider seasons of the Heisei era -- according to a survey of 8,048 participants ranging from ages 10 to 60 (I guess parents and grandparents of Kamen Rider children fans decided to participate). That's pretty random if you ask me considering that age does affect preference! "If you're bored with something you like then why not do something else?" is what I was trying to do with Kamen Rider Zi-O. 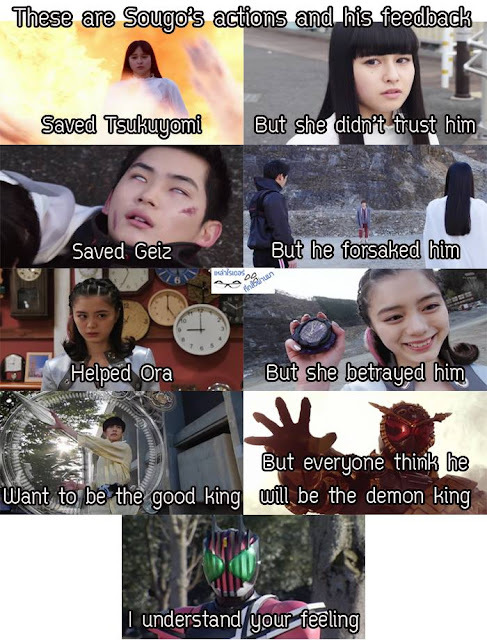 So I took a bit of a break to focus on Ryusoulger and Ashes of Love. But I started saying, "Well what have I missed?" 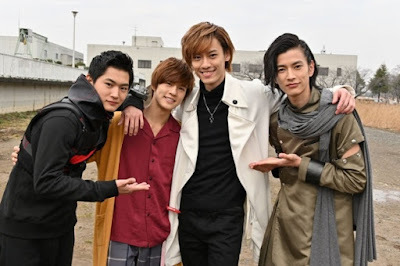 with Kamen Rider Zi-O. So I decided to do some marathon after weeks of slowing down (and I may slow down again depending on the circumstances BECAUSE well there's new school stuff out there) but it's not safe to say I'm not taking a bit of a break in between AGAIN. 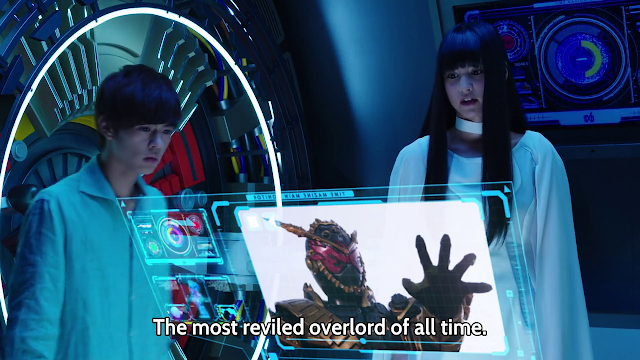 I mean, I just feel a break from Kamen Rider Zi-O every now and then has helped ease my mind. Wake Up The Viewer! Kamen Rider Black RX VS. Kamen Rider Decade Random Rant! Kamen Rider Black RX and Kamen Rider Decade -- two shows that I really find to be quite hated or loved with almost no middle ground. 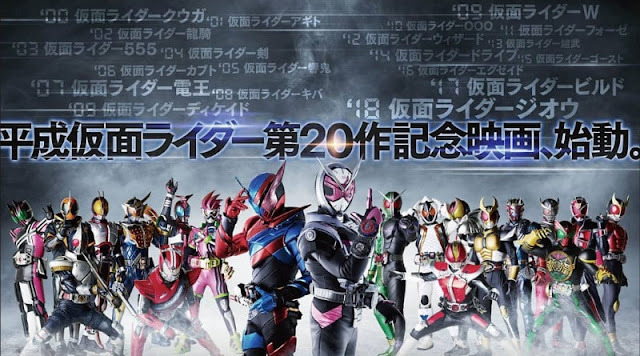 It's like I do experience people who love Decade and beat me up for my rather negative opinion about it -- I guess you do realize I love calling it as the "sequel" of Saban's Mashed Rider (which is an Old Shame) and defending it to saying, "But Decade has lot of good special effects! Better budget! Shinkenger's crossover with Decade is miles better than MMPR's crossover with Mashed Rider!" and I agree. But I thought of Decade's sudden cancellation at 31 episodes is probably due to bad audience reception. If there's the RX Meltdown then there's also the Decade Meltdown too. The Heisei era is truly coming to an end and Kamen Rider Zi-O (like Kamen Rider Black RX) will soon be the first Heisei Rider that will have to fit into the Reiwa era -- all before a pure born Reiwa Kamen Rider will be born. The Heisei era of Kamen Rider started in 2000 and will end in 2019. So 2019 may be the birth of the first true Reiwa era Kamen Rider, right? So what's the life of an immortal or even an Elder God gotta be, right? 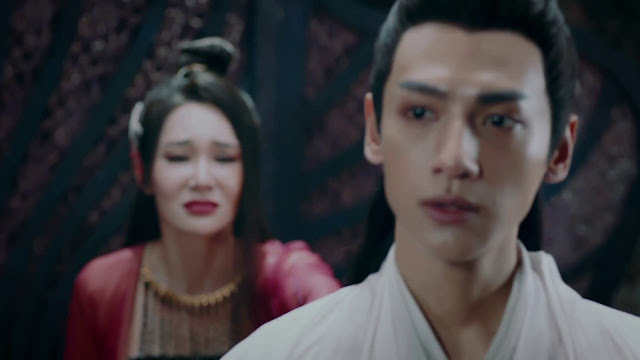 So I did resume watching Ashes of Love after some time (and I'm barely half of it) but I've got into the part where Runyu discovers his screwed up heritage. Suli is a bitchy woman but we finally realize one thing -- it's because of the Heavenly Empress Tuyao' cruelty where the Dragon Fish clan was exterminated. So it's no surprise that Runyu was born with horns due to his mother's side. Vagabond Tentatively Delayed To September 2019? The premiere date for Lee Seung Gi and Suzy’s upcoming spy drama “Vagabond” has been pushed back. A source stated to Sports Chosun that the delay is due to issues with the filming schedule and a pending deal with Netflix. “Vagabond” had been scheduled to air in May after the conclusion of SBS’s “Big Issue,” but has been replaced with “Absolute Boyfriend,” a drama adaptation of the popular Japanese manga series of the same name. “Absolute Boyfriend” stars Yeo Jin Goo, Girl’s Day’s Minah, and Hong Jong Hyun, and has already completed filming. The premiere date for “Vagabond” is now tentatively set for September. Filming is still ongoing for the drama, which held its first table reading in June last year and had a plan to go on-air first at the end of 2018, and then in May 2019. I just thought about it that maybe I need a slowdown or even a short break from Kamen Rider. Sure, I may resume watching it but I just feel like a short break is probably all I need right now. I might be focusing on trying to finish Ashes of Love or focus more on the upcoming K-Drama series Vagabond. I can still watch this at my own pace later but I will only update when I feel like it or wrap my thoughts up. I've been having problems with the Shimoyama-Shirakura tandem -- episodes by Nobohiro Mouri are good while Kento Shimoyama is hit or miss. Shinichiro Shirakura doesn't look like he's pleased with some changes Toei made -- the guy has been known to like brutal stuff as evidenced by the bloodshed in Agito, Faiz, Ryuki and Amazons!